Due to some real life contingency, Thaddeus Nadeau of The Hidden Hollow Group has decided to sell his land in the regions of Bradmoor and Macclaine. We are sorry that Thaddeus had to take this decision but we understand real life is a priority. 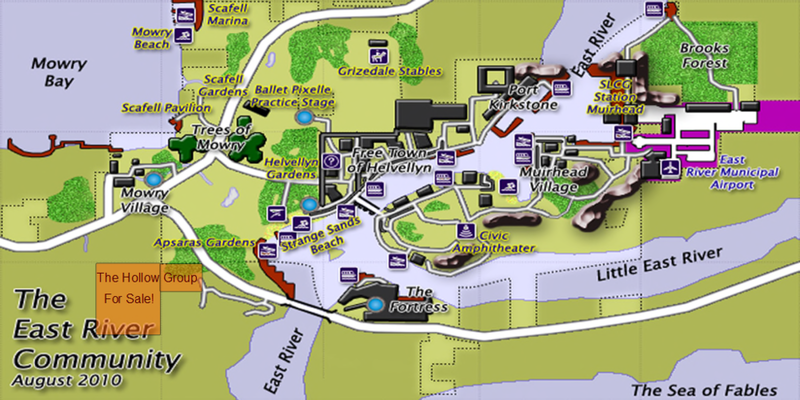 Thus, there is about 18,586 sqm of land for sale bordering our community, as you can see in the following map. The land is also available in smaller sizes. Thaddeus made a nice village on his land with a number of stores and a cafe. This is an opportunity for anyone interested in buying some land in a very nice area. Our community also offers the opportunity to be an affiliated member of our federation of groups with the benefits of sharing resources, promotional channels and better controlling the environment, thus preserving the quality and beauty over a vast area. Please check this wiki page for requirements on being an affiliated member of our community. If anyone is interested in this opportunity please contact Thaddeus Nadeau or Indigo Mertel inworld. You can visit The Hidden Hollow Group land here. 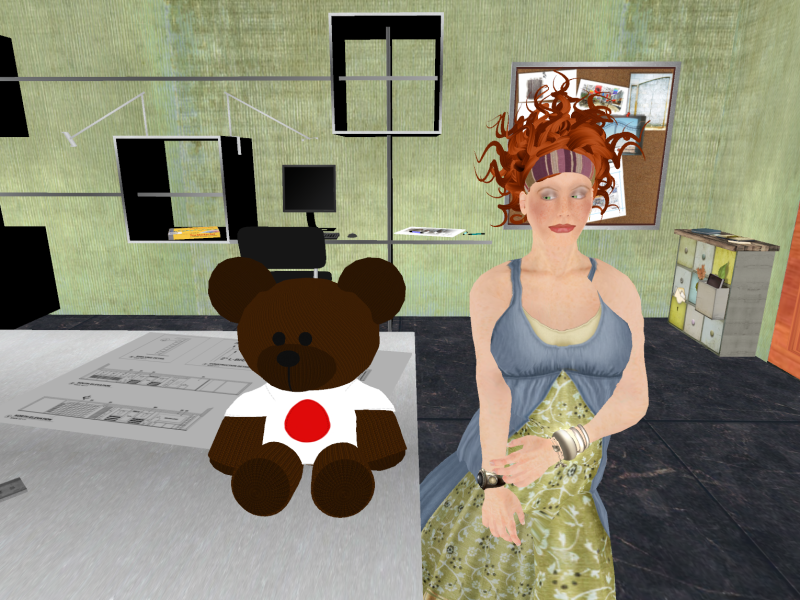 The folks at Linden Lab have created a couple of special Linden Bears (one sitting, one wearable). They will donate all proceeds from the sales of these bears to the Japan Earthquake and Pacific Tsunami Relief efforts of the American Red Cross. Thank you for helping us to support the relief efforts! You are invited to attend the Opening of oona Eiren’s “Lost HiFi” (an Installation), on March 12th at 2:00 PM SLT. The Wearers will perform at 2:30 PM SLT. Please come and meet oona and celebrate her new work. Lost Hi Fi from oona Eiren on Vimeo.